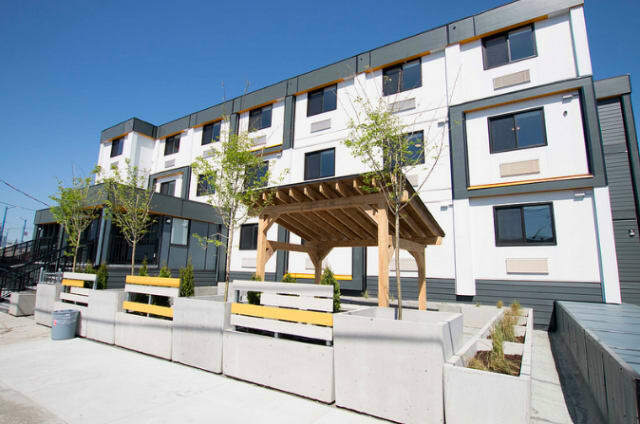 A modular housing project in Vancouver, Canada, has been quietly gathering attention for its affordability and quick turnaround time. This project provides an excellent opportunity to think more about what modular means and what it can do. Modular buildings, also known as prefabricated or designed for manufacturing, are built in offsite factories in sections called modules. They are then shipped to the building site and constructed with the help of cranes, often on top of a basement foundation. In the past, modular housing was relegated to the corners of the market, but it’s now enjoying a resurgence in popularity. Autodesk has been traditionally seen as being on the design side of the design/construction split. Recent software acquisitions have brought it closer to bridging the gap. According to Wyatt, modular construction also blurs the line between these two areas. “I think using a designing for manufacturing your approach, what you’re really doing is connecting people who have not traditionally worked that closely together,” he said. That collaboration allows for greater control over both the process and final product. According to Wyatt, “We’re able to take fabrication level of detail and take that not only into the factory, where things are being constructed, but also into the field, where things are being constructed from the various components manufactured offsite.” When it comes to the process, he added that manufacturing houses indoors removes factors like weather, which can cause significant building delays. The lack of delays is another important factor in favor of modular housing, especially when the world’s urban population is growing quickly. Current modular homes span a range of applications and are more versatile than ever before. 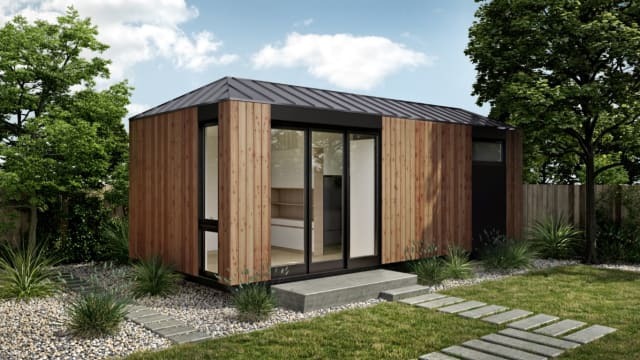 LivingHomes has been in the news recently after the release of its Accessory Dwelling Unit (ADI), more commonly known as a granny flat, meant to be placed on a property where there’s already a building. “The idea is to create a tiny home in your backyard that you can use either for rental or housing for family members who might live in those units,” said Glenn, who added that there’s nothing stopping interested buyers from purchasing the building to put on an empty lot. The units are prefabricated in Rialto, Calif., before being shipped out to build sites. Each unit has 400 square feet of living space divided into a living room, bedroom, kitchen and full bathroom. It can be installed and finished in a single day and has the option of being installed with a helical pile foundation system, which cuts down weeks of conventional foundation construction to a single day. While the AD1s are startlingly unique, LivingHomes makes a lot of more standardized houses, buildings it would be difficult to tell apart from the average home on the street. While much of the modular market focusses on single-family dwellings, multi-family modular are just as viable—and possibly even more useful. In 2012, the Native American Youth and Family Center (NAYFC) of Portland, Ore., built a modular housing project for low-income Native American families. The modules that made up Kah San Chako Haws, East House in Chinook, were built offsite, shipped to the location by truck and lifted into place by crane. As a result, the project was completed five months faster than it would have been using a more traditional approach. Stakeholders in the building also worked to ensure that it wasn’t cheap or poor quality and suited the needs of its residents. Which brings us back to Vancouver’s temporary housing. Vancouver has the most expensive housing market in Canada. A lack of affordable rental options contributes to the fact that more than 2,000 Vancouverites were found to be homeless in a recent study. Homelessness is a constant political hot-button issue in the city. The current mayor ran for office back in 2008 on a platform of eliminating homelessness by 2015. Since 2017, several temporary modular housing projects have gone up around Vancouver, with more on the way. The city’s goal is to build 600 units, which is part of the province’s plan to create 2,000 new units in total. Alberta-based modular housing company Horizon North built the recent Chartrand Place in 90 days. The building has 39 units. Each one is 250 square feet with a bathroom and a kitchenette. Seven of them are wheelchair accessible. Only time will tell how BC’s modular apartments will work out. Given the history of modular housing, the future is hopeful. “There’s always housing required for different needs,” Baldesarra said. Hopefully, modular housing will meet the needs of residents and the city.